« Previous: My First IV!! Two weeks ago, I had the wonderful opportunity to participate in the pilot trial run for the HPI workshop, meant to be a “mock USMLE Step 2 clinical skills (CS) exam” that the ICM faculty are considering implementing into the ICM curriculum. 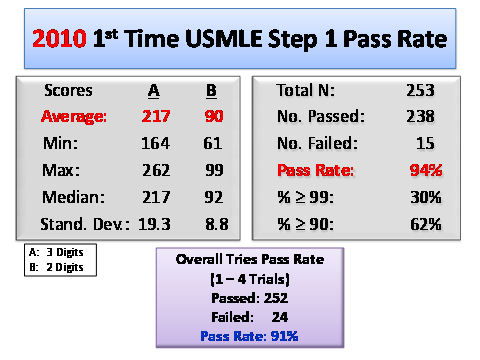 For those of you who don’t know, the USMLE Step 2 is taken during our clinical rotation years, after we complete at least all of our core rotations. There are two parts: the clinical knowledge (CK) part that consist of answering questions, much like the USMLE Step 1 we take after Basic Sciences, and then there is clinical skills (CS) part, in which we are tested on our interview, physical examination, and case write-up skills. During Basic Sciences at AUC, we learn these skills very thoroughly and very well, as we take ICM classes from second to fifth semester. Similar to the USMLE Step 2 CS, during the mock, we had exactly 15 minutes of contact with a standardized patient (actor), in this case, presenting with an onset of cough. After the 15 minutes is up, we stepped out of the patient rooms and went to a computer to do a write-up on the case, which includes three sections: History of Present Illness (HPI), Assessment (including differential diagnosis and explanation), and then Examination required to rule out the diagnoses. We were timed exactly 15 minutes to complete the write-up. Unlike the Step 2 CS, however, during the 15 minute contact with the patient, we were only required to do a focused interview, whereas in the real Step 2 CS, we’re required to do both an interview AND a physical exam within those 15 minutes. I thought the Mock USMLE Step 2 CS practice session was a really helpful experience. 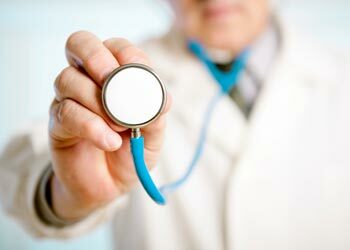 In our ICM classes, we are so used to having so much time to do our interviews and physical exams. 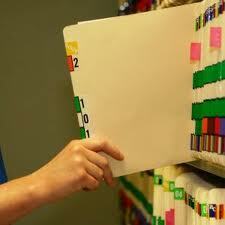 Our write-ups are usually thorough multiple-page assessments due within 72 hours. 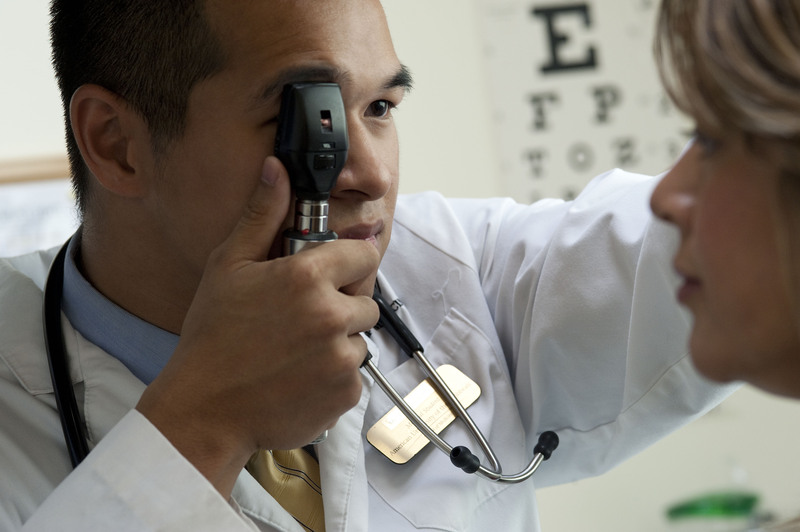 We learn how to conduct very thorough interviews, physical exams, and write-ups, which is great for getting our skills down and fitting for a first-visit patient interview and check-up, but in the real world, most interviews and physical exams we will be doing will be short and focused. By having this workshop where we limit our allowed patient contact time to 15 minutes, we challenge ourselves to learn how to get all the pertinent information we need while still using the same social skills we have learned in ICM to introduce ourselves, set the agenda, NURS, develop rapport, and engage the patient (which are all assessed on the Step 2). We’re forced to make quick assessments in the write-up. After the mock, we each went back into the patient room and were evaluated by our standardized patients on our performance. At first, I felt 15 minutes was sufficient time to gather the pertinent information needed and establish the rapport with the patient, and the patient did give me a good evaluation for my interview. The challenge, for me, however, was the 15-minute limit on the assessment. I just tend to take a lot of time to think and write, and given the patient’s HPI, her coughing symptoms could be from so many different risk factors. The question of which cause is most likely becomes difficult and requires time for thinking. It was then that I realized that the 15 minutes of interview may have felt enough but if I asked more focused questions, I probably would have been able to differentiate more between the risk factors involved and come up with a better assessment. That is the challenge. Overall, I felt the HPI workshop was a really good and much needed experience, especially since ICM is still fresh on our minds. Although thoroughness is an important skill to learn for interviews, conciseness (without the sacrifice of rapport) is also an equally important skill to learn, as evidenced by this experience. I look forward to its implementation in future classes. AUC and USMLE Step 1 Mock, Biostats, and Glycolysis What Step 1 Score Should I Aim For? 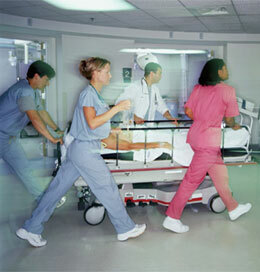 Introduction to Clinical Medicine My First Taste of Emergency Medicine! they definitely should implement the OSCE into your clinical training. im surprised they don’t have it ! i appreciated it during my education. but since i’ve proctored the mock exam a couple times now for medical students, the one thing i wish carib schools would do is offer it twice. once during 5th semester to test your ability to enter clinicals and then again after your 1st year of rotations to prepare you for the Step 2 CS. it’d be a pain to set up, but it seemed very helpful for the US medical students i proctored. This would be a great idea to implement in ICM. However, from the responses I have received when asking about the CS exam, it is almost the opposite of what AUC ICM teaches. Allegedly, you only have time for 1 open ended question: “Why are you here?” and then 6 minutes of closed ended questions, followed by a very brief physical in 3ish minutes and then ferociously typing the CC, HPI, etc before the clock runs out, then repeat about 20 times. I think it would be good to have some input on how to put it together, yet difficult because 4 semesters of ICM only creates barely passable physical exam skills (according to my UK instructors). But still, I am glad they are trying! Thanks for the comments Ryan and Thuc! AUC has started implementing the mock Step II cs for the new fifth semester class as part of their ICM requirements. I think this is definitely a good step forward for the ICM curriculum, and I hope they can start implementing it even earlier too.